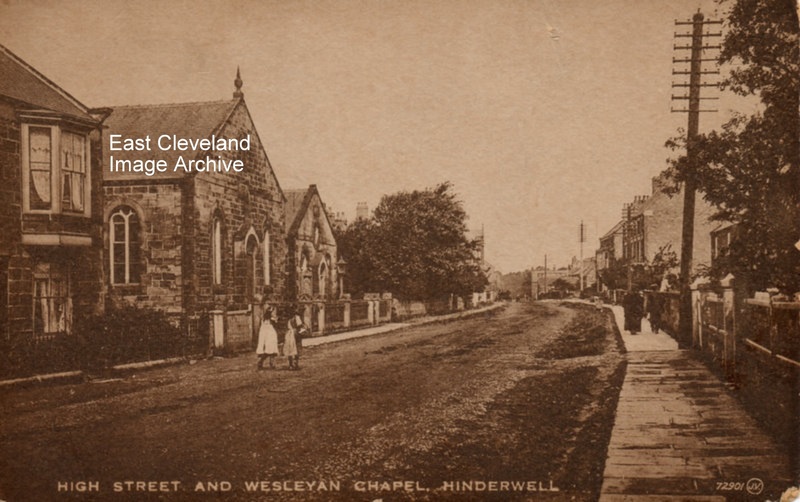 This Valentine’s postcard view of Hinderwell High Street and the Wesleyan Chapel is little altered from the present day, although the road surface was obviously pre the modern day tarmac! Image courtesy of Ken Johnson. I was a very young boy accompanying a Local preacher at this Chapel, if I remember rightly, it had a black leaded stove heater for heat. Wonderful days because everything was so nice, people seemed to respect each other!